Addressing an audience of tech enthusiasts meeting in the Texas capital, Obama said both values are important. He restated his commitment to strong encryption, but also asked how will government catch child pornographers or disrupt terrorist plots if smartphones and other electronic devices are made ways that keep law enforcement from accessing the data stored on them. 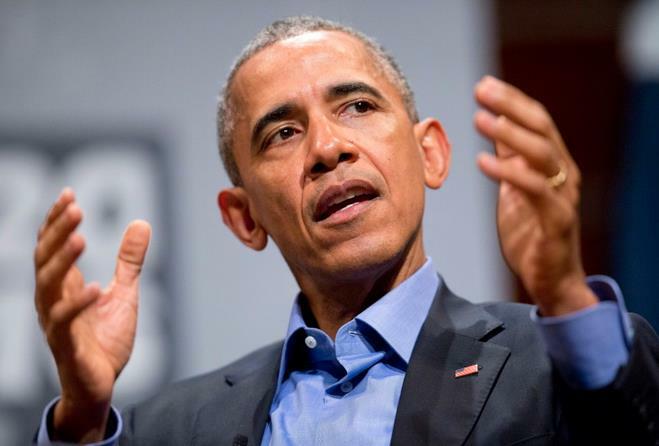 “My conclusion, so far, is you cannot take an absolutist view on this,” Obama said at the South by Southwest Interactive festival. During a question-and-answer session with Evan Smith, CEO and editor in chief of The Texas Tribune, Smith asked Obama “where do you come down” on the question of balancing law enforcement’s needs with an individual’s right to privacy. Obama said government shouldn’t be able to “just willy nilly” get into smartphones that are full of very personal data. But at the same time, while asserting he’s “way on the civil liberties side,” Obama said “there has to be some concession” to be able to get to the information in certain cases. The president was not asked to comment on the litigation between Apple and the FBI. He also said he couldn’t discuss specifics. Apple and the federal government are embroiled in a legal fight over Apple’s refusal to help the FBI access an iPhone used in last year’s terrorist attack San Bernardino, California, in which 14 people were killed. The FBI wants Apple to create a program specifically for that particular phone to help the bureau review the data on it. Apple has refused, and says to do what the government is asking would set a terrible precedent. “There’s just no way to create a special key for government that couldn’t also be taken advantage of by the Russians, the Chinese or others who want access to the sensitive information we all carry in our pockets every day,” Issa said. Obama used his appearance at the decades-old festival to encourage the audience of tech enthusiasts to use their skills and imagination to “tackle big problems in new ways.” He said the administration already is using technology to make people’s lives better, and cited as an example the streamlining of federal applications. But he urged industry leaders and entrepreneurs to use technology to help increase voter participation. South by Southwest Interactive is part of South by Southwest, a movie, music and interactive media festival that had been held in Austin for the past 30 years. Obama’s appearance was the first by a sitting U.S. president. After the festival, which also is known as SXSW, Obama helped raise money for Democrats at a pair of fundraisers in Austin. That was clever! I’ll definitely be stopping back.